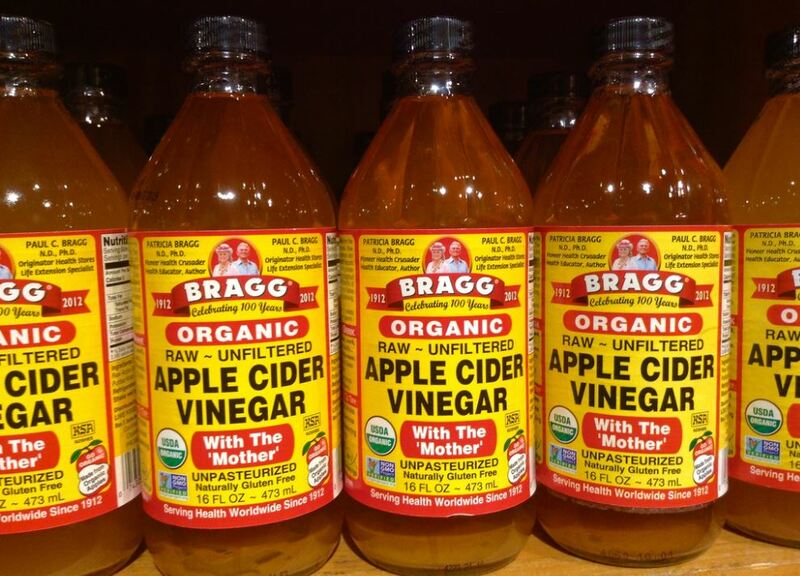 Apple cider vinegar is also referred to as the Mother of all Vinegar (A.K.A. Mycoderma Aceti). It was created when the acetic bacteria and a type of cellulose developed during the fermentation process. It’s 100% safe and has a myriad of healthy characteristics that promotes a healthy lifestyle (the good bacteria included). #3: Both toxins and pathogens easily build up and the immune system is being suppressed. This is mainly the reason why Hippocrates made this his go-to treatment in combatting various infections — and a lot of people are starting to realize that. Raw organic apple cider vinegar is nature’s perfect miracle food — and it should never be mixed up with the traditional vinegar. The latter has none of the health properties ACV has, and it can actually be harmful. Lotions and creams can’t always solve the problem. As a matter of fact, if you’ve scratched until your skin is raw, lotion can further irritate it. However, apple cider vinegar can surely help solve that problem in no time at all. There are times when a sore throat is not that serious — and if it’s discovered early, a common sense remedy like apple cider vinegar can save you hours of time wasted at the doctor’s office. If it’s a case of viral infection, antibiotics can’t do anything, after all. ACV has both antibacterial and antifungal properties that help balance the pH levels of the skin — making it the best natural choice to help keep your skin looking and feeling its best. In addition, ACV also contains alpha hydroxy acids — the main ingredient in every expensive skin creams — which helps eliminate dead skin cells. Also, for people who are usually suffering from acne, dry or oily skin will soon find out that their skin will be much more balanced when using ACV, with lesser breakouts. Fill a small wash basin with warm water and 1/2 cup of ACV. Standing in the shower or tub, dip your hands in the solution and massage it all over your body until it’s thoroughly wet. Massage the solution into your skin until it’s dry; don’t wash it off. As an alternative, pour the mixture into a spray bottle and spray yourself right after your shower or bath for an invigorating pH balancer. If you’ve been exposed to certain kinds of dangers in the past, let’s say heavy metal poisoning, ACV is your solution to addressing those problems. ACV is said to be a natural chelator. Just add two tablespoons of ACV to eight ounces of water and drink it three times a day. Doing so will help detoxify and regulate the pH level of your body while supporting your body’s two essential detoxifying organs — the liver and the kidneys. Exercise and good nutrition are both essential when it comes to attaining a healthy heart. Refraining from consuming processed foods and trans fat is also important. Thus, apple cider vinegar is here to help you attain all of these. In addition to being an abundant source of potassium and magnesium — two essential nutrients for heart health — ACV also provides a constant supply of power and energy to the heart. Also, ACV contains a natural chemical that works with heart fuel to make the heart muscle stronger while setting both blood pressure and cholesterol at a normal, healthy level. Moreover, recent studies have proven that ACV can even lower arterial plaque. A study conducted by doctors Carol S. Johnston and Andrea M. White of Arizona State University surveyed 11 people afflicted with type-2 diabetes. 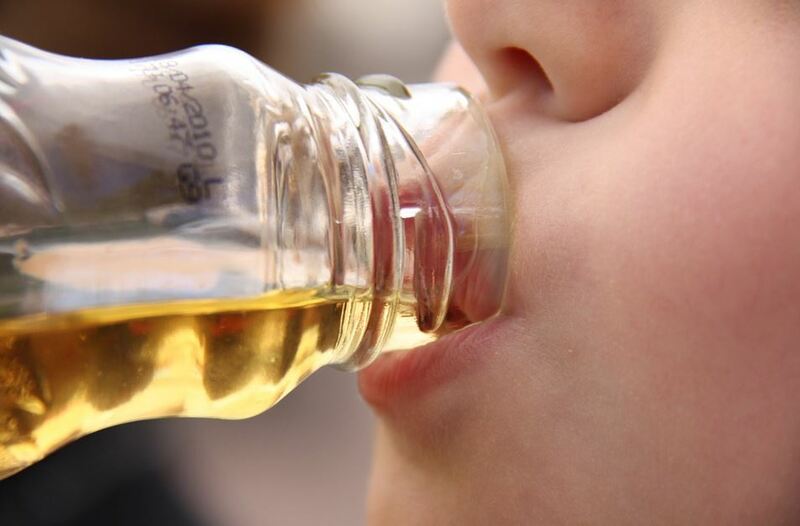 Both of them discovered that taking two tablespoons of apple cider vinegar before bedtime would lower the blood sugar levels of these people by about 4 to 6 percent in the morning. Another studied conducted by Dr. Johnston provided subjects, some with insulin resistance and some have none, 20 grams of ACV and 40 grams of water to subjects. Results showed that the after-meal blood sugar levels of the subjects with insulin resistance were lower by 34% after drinking ACV. Lastly, a research performed in Tokyo University, Japan discovered that the acetic acid found in vinegars inhibits the activity of carbohydrate-digesting enzymes, which includes sucrase, mastase, lactase and amalase. The said inhibition resulted in select sugars and starches passing through the digestive system without being digested, having a lower impact on blood sugar levels. ACV has been known to be an aid for dry skin. The said food product is known to detoxify and clean out your pores. If you’ve been exposed to too much sunlight and is experiencing sun burn, try applying a cloth on the affected area that’s being soaked with apple cider vinegar. It will provide instant relief and fast healing. For armpits that stink, ditch the deodorants containing aluminum; use ACV instead. Although it has a potent smell, it acts as a strong deodorant. Rub a generous amount under your armpits before doing any activities that may get you sweaty. Got swollen feet or hands? Try applying a generous amount of apple cider vinegar to them. You’ll experience cool relief and swelling is lowered. Vaginal thrush is something that a lot of women are dealing with. It considered by women all over the world as an uncomfortable situation to be in and an issue that a lot can’t simply eliminate. Instead of reaching for the nearest antibiotics, try an all-natural cure for the said issue instead; such as apple cider vinegar. All you need to do is prepare at least 1 liter of water and 1/4 cup or a full cup of apple cider vinegar. Mix them both together and make sure you’re using warm water instead of the cold one. It may come as a surprise, but this is not meant to be a drink; instead it’s used as a douche. Freaky at first, but you’ll instantly feel the results afterwards as it’s a great way to maintain regular pH levels. If you find yourself feeling a a headache or you’re coming down with nausea, apple cider vinegar is the thing that you need. You just have to dedicate yourself to an apple cider vinegar juice fast and have a glass of ACV on a regular basis. Keep drinking apple cider vinegar until you feel the results. Just a teaspoon of apple cider vinegar, makuna honey and juice of one lemon in warm water can help ease asthma. Drink as many of this formula as much as you want over the entire day. So, how can apple cider vinegar help? It has anti-bacterial properties which help combat infection causing bacteria. in addition, the acidity present in it helps lower the pH levels of the tissue, which prevents bacteria growth. Moreover, ACV also contains prebiotic inulin which increases white blood cells and T cells count and strengthen your immune system. If you’re experiencing early signs of sore throat, all you need to do is to combine at least 2 tablespoons of ACV in a cup of water. Gargle this concoction and sip a small amount of the mixture. Repeat this once or twice an hour. If you’ve been feeling it for a while, all you need to do is sip a small amount of undiluted ACV and if you’re able to withstand it, repeat sipping it several times a day. After each dose, you need to drink water. The time between each sip should be at least 30 minutes each. Canker sores, or tongue ulcers, are small white-colored ulcers that occur in different parts of the mouth. These sores can cause pain and difficulty while eating, drinking and even speaking. These happen due to several reasons, including the consumption of oily and spicy foods, food allergies and a deficiency in certain vitamins and minerals. One cure for these is apple cider vinegar. All you have to do is make a solution of apple cider vinegar in warm water, and is composed of equal volumes of both. This solution is meant to be gargled, not drunk, and it’s helpful in curing these sores. You can add diluted apple cider vinegar to your bath to help treat hand, foot and mouth disease. Insect bites can also be cured with the help of apple cider vinegar. All you need to have is the said food product, water, bicarb soba, and lavender oil. All you need to do is mix in a teaspoon to a tablespoon of ACV in water and a pinch of bicarb soda. You should also add in a hint of lavender to add that soothing effect. After mixing, rub a generous amount of the mixture onto the affected area. Take note that you shouldn’t leave it for a long time; 20 to 30 minutes will do. The ACV can really leave your skin red as it heals the bites; however, it’ll all go back to normal in about the next half hour. Every morning before meals, drink a glass of warm water, plus 1 tablespoon of apple cider vinegar and 1 tablespoon of molasses (blackstrap). Ginger: Considered to be one of the healthiest spices on Earth, it contains powerful medicinal properties. This also has a gingerol substance known to be very effective when dealing with nausea. It’s also been used as a remedy for muscle pain, muscle soreness, anti-inflammatory and a remedy to indigestion. Raw, Organic Honey: Organic honey is known to contain phytonutrients (anti-inflammatory) and antioxidants that help eliminate bad bacteria inside the body. It also has antiseptic hydrogen preoxide that destroys germs. Honey has the ability to heal wounds as well. Unpasturized Apple Cider Vinegar: ACV contains amino acids that help boost energy and ease fatigue, lower blood sugar levels and prevent cardiovascular diseases. It’s also a great cure for sore throat, an aid for digestion and helps lower mucus from sinus condition. Garlic Cloves: Garlic has been known to be an antibacterial, antiviral and antifungal spice that’s very helpful when it comes to addressing infections. It’s also a great remedy to treat skin issues caused by different bacteria (viruses and fungi included) and it also contains high levels of potassium and vitamin C. A good immunity booster. Lemons: Lemons are rich is a lot of vitamins and minerals, such as: calcium, potassium, Vitamin C, iron, Vitamin A, vitamin B6, vitamin E, zinc, magnesium, protein and folate. It helps fight off cancer and antioxidants. It also helps lower the risk of high blood pressure, diabetes, fever, constipation and indigestion. If you’re looking for natural ways to lose weight, apple cider vinegar is one of those ways you can lose weight naturally. In a study conducted in Japan, participants who drank more ACV than their counterparts during a 12-week period were recorded as having much lower BMI count, waist circumference and visceral fat than the group who didn’t have any. Be careful though, as too much of it can give you an upset stomach. Apple cider vinegar may help kill cancer cells or retard their growth. According to a single study, consuming organic apple cider vinegar also lowered the risk of esophageal cancer. In clinical trials, pectin contained in apple cider vinegar, has been shown to slow down the growth of cancer cells within the prostate. Furthermore, apple cider vinegar can also help support a healthy prostate. 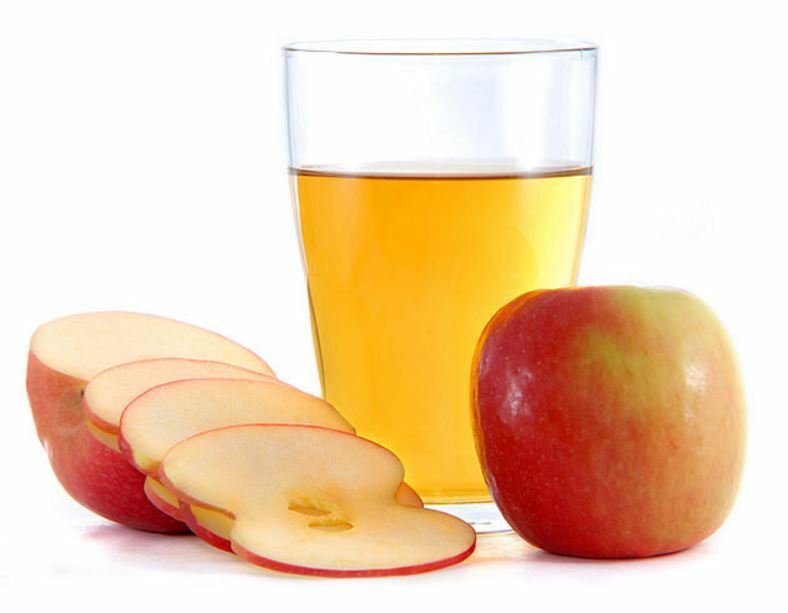 There was also one study that proved that ACV (apple cider vinegar) helps in decreasing the risk of esophageal cancer. Apple cider vinegar has the ability to help lower inflammation. Furthermore, it helps ease digestion. It also helps in aiding the prevention of problems such as the flu and in the process, helps regulates the body’s pH balance. Lastly, apple cider vinegar is also best used for warding off both nausea and heartburn, not to mention believed to help smoothen wrinkles and lower the appearance of acne. Apple cider vinegar is an age old remedy that’s often recommended for a wide array of health conditions. The theory behind this is its ability to help lower mucous production and cleanse the lymphatic system, thus making it useful for allergies. Plus, it’s also said to help digestion, weight loss and so much more. Mix a teaspoon of organic, unfiltered apple cider vinegar into a glass of water and drink it three times a day. This will help you relief acute allergy symptoms and seemed to help avoid allergy attacks as well. I’m just getting over a severe bout bronchitis that developed right after a flu. I took 1,200 mg expectorant and still had a horrible constant tickle inside my throat with a deep, persistent cough that kept me up all night. I couldn’t even get sound sleep. I was so sick that it made me want to die, so I got desprate and sought help via the internet. I took the advice posted on a blog about apple cider vinegar which states that if you took 2 tbsps of organic “Mother” Apple Cider Vinegar and honey in a cup of hot water and sipped it that it would help dissolve mucous and ease coughs. Well, I tried it and the tickle started to vanish (I’d let it work for a couple of minutes then rinse my mouth with water). When it came back, I’d keep sipping the concoction and within a few days, my severe bronchitis felt much better. The doctors couldn’t do what apple cider vinegar and honey did for me. I plan to stick to it to see if the weight loss also happens with apple cider vinegar — if nothing else, it’s a preventive for the future. My husband is convinced about it now since he saw how it “”healed”” my terrible hacking and expelled the phlegm. Every year for about 10 years, I would get an annual bout of bronchitis. Seems likely to hit right after Christmas (when my immune system is shot from stress). This year when I felt it coming on, I vowed to fight it with natural means only. I knew that apple cider vinegar was touted as a cure-all for a ton of things, but when I Googled it, I found out that it helps with bronchitis, and I tried it. The first day was the worst. It felt like someone was standing on my chest just below my neck. I took the cider as directed with raw honey and an extra hint of apple cider vinegar, used my net pot and gargled with salt water. I had done the other two before, but I truly believe it was the apple cider vinegar that changed the tide. Next day, the chest pressure was gone and though I was coughing, it was productive and clear! I felt fine when the third day came. A concoction prepared from honey and apple cider vinegar works as a great natural expectorant. This natural expectorant aids in the reduction of mucus thickness and it also helps eliminate phlegm in the lungs. The natural anti-inflammatory property of organic honey can also help lower the inflammation of bronchial tubes. To prepare the spicy cough syrup, simply fuse together equal quantities of organic honey and apple cider vinegar. Store the natural cough syrup in a clean glass bottle. Take a teaspoon of this mix every couple of hours to get relief from the hacking cough and also to lower mucus build up in the upper respiratory tract. Apple cider vinegar may help kill cancer cells or retard their growth. According to a single study, consuming organic apple cider vinegar lowered the risk of esophageal cancer. In clinical trials, the pectin contained in apple cider vinegar has been shown to slow down the growth of cancer cells within the prostate. Furthermore, apple cider vinegar can help support a healthy prostate. ACV helps prevent cardiovascular disease. It helps to lower the blood sugar levels as well. This is really good for sore throat as it helps lower mucous from sinus congestion. ACV contains amino acids that helps boost energy and ease fatique. In addition, it helps in digestion and still has a ton of benefits. Apple cider vinegar (ACV) has been known to help deal with dry skin. Equal parts of ACV along with Aztec Secret Indian Clay will help to detoxify and clean out your pores. Apple cider vinegar can help lower inflammation and used to help ease digestion. It also helps in aiding the prevention of flu and it also helps regulate pH balance. It helps against nausea and heartburn as well as helps smoothen wrinkles and lowers the appearance of acne. Add 1 tablespoon of apple cider vinegar to honey and warm water. Packed with antioxidants and flavonoids, the use of honey and apple cider vinegar helps increase the excretion of uric acid from the body. Arizona State University doctors Carol S. Johnston and Andrea M. White surveyed 11 people afflicted with type 2 diabetes. The researchers found that taking two tablespoons of apple cider vinegar right before ved lowered the blood sugar levels of these people by about 4-6 percent by morning. Another study led by Dr. Johnston gave subjects, some with insulin resistance and some without, 20 grams of apple cider vinegar and 40 grams of water. Results showed that the after-meal blood sugar levels of the subjects with insulin resistance was 34% lower when these people drank apple cider vinegar. Research performed at Tokyo University in Tokyo, Japan, discovered that the acetic acid found in most vinegars inhibits the activity of carbohydrate-digesting enzymes, including sucrase, mastase, lactase and amalaze. This inhibitions results in choosing sugars and starches passing through the digestive system without being digested, having less impact on blood sugar levels.